Standing desks seem to be the Next Big Thing when it comes to office life, and there’s plenty of research that sings its praises. Sitting at a desk can be a bummer but it also causes small annoyances like back pain and muscle aches as well as big problems such as cardiovascular issues and chronic health conditions. For good measure, according to the director of the Mayo Clinic-Arizona State University Obesity Solutions Initiative, we lose two hours of life for every hour we spend sitting – and no, these effects can’t be counterbalanced by exercise. Enter the world of standing desks. Being on your feet instead of your backside while you work allows for weight loss, lower blood pressure and risk of heart disease and improved mood and productivity. If there’s a downside, it hasn’t been figured out yet. But standing desks aren’t always the answer. They’re expensive, not portable and tend to be somewhat bulky. That’s where X-Stand comes into play. 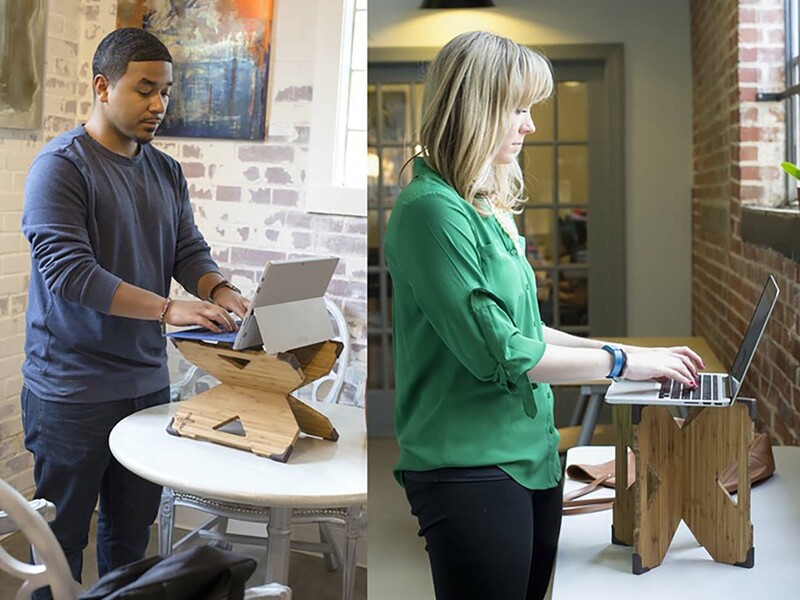 Co-founded by Charlotte citizen Adriana McLane, the X-Stand is a portable, light-weight stand big enough for a laptop and small enough to be set up anywhere – in two different ways. Vertically, the stand is 12″ high while horizontally, it measures 9″. 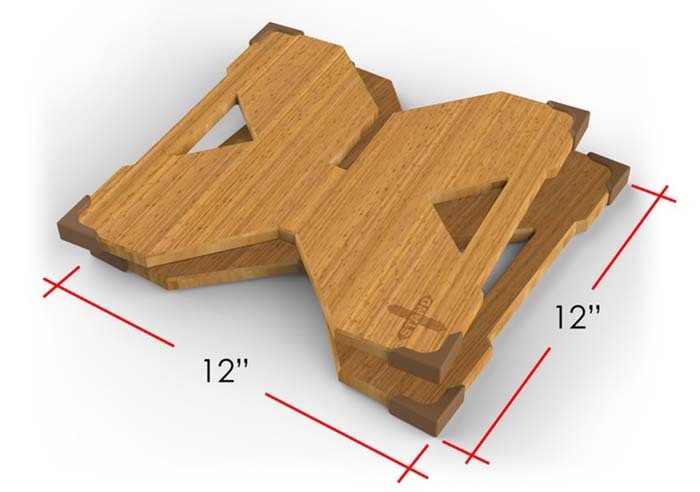 All desks are manufactured in America using two 12″ by 12″ pieces of bamboo and weigh three pounds. 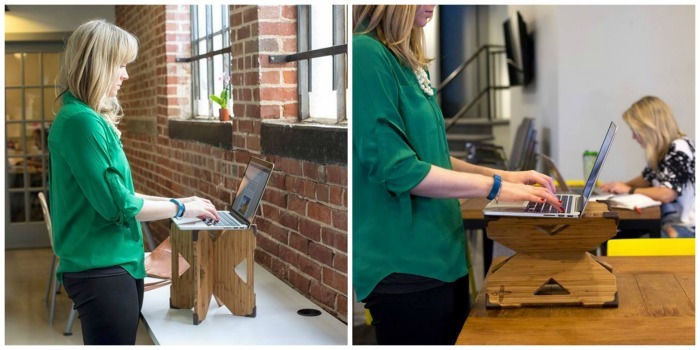 The stand, comprised of two pieces of bamboo, can be put together in seconds and store completely flat, allowing for “easy transporting in a handbag, carry-on, or backpack for work, school or travel,” the company says. 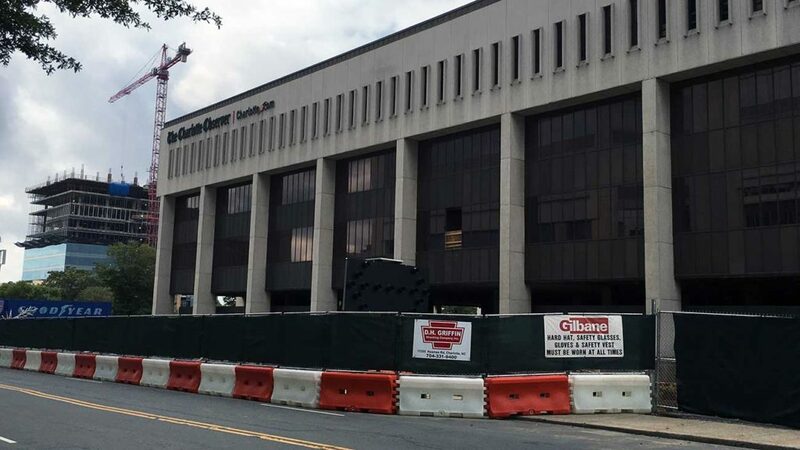 McLane believes that this is what makes the X-Stand so revolutionary. X-Stand isn’t available for purchase yet but is expected to retail for around $89. The company is asking for funding via Kickstarter, and by day four (Sunday, August 14), they’d reached 80% of their $5,000 goal. 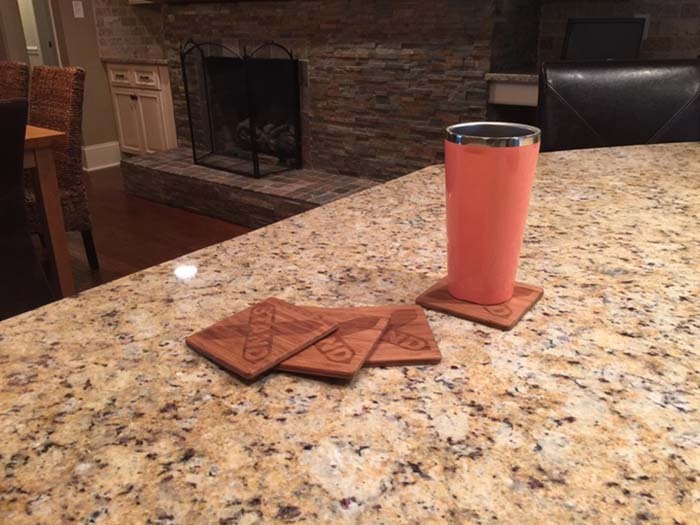 Rewards for backers include a coaster set, an engraved logo or initial set on a stand and a 1st-edition stand with free shipping.